Ready to Pre-Order Some Solid Snake? How about Cyborg Ninja? 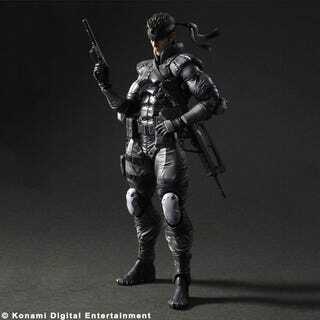 Spotted at this year's Tokyo Game Show, there are Solid Snake and Cyborg Ninja figures incoming from Square Enix's Play Arts Kai line. Pre-orders are now underway! The Solid Snake figure lists for ¥5,800—ditto for the Cyborg Ninja figure. Both are available at lower prices online, however. They'll be released next February. That's the future, you know.